I may not have become the next Beezie Madden last night, but I definitely felt like it was a transformational lesson. 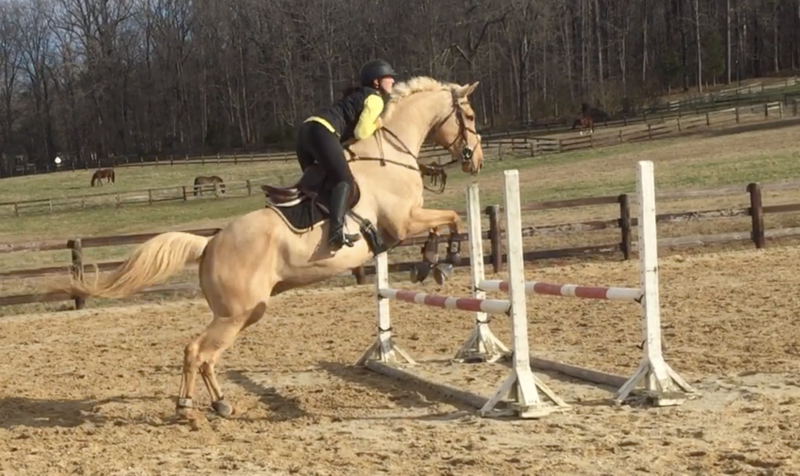 I’ve never been proud of my equitation, which tends to want improving in almost every aspect of my body. Lately though (or like, for years), my greatest sin has been to be too quick with my upper body over the fence. I snap from my hips over the fence way too much, and occasionally snap back up too soon on the descending side of the fence. Neither is optimal. Thanks to all the video I’ve gotten recently, I got to see what my trainer means when she’s yelling at me to “slow down my body”, or “be patient with my shoulders” or even “just let him come up to you”. Holy moly. 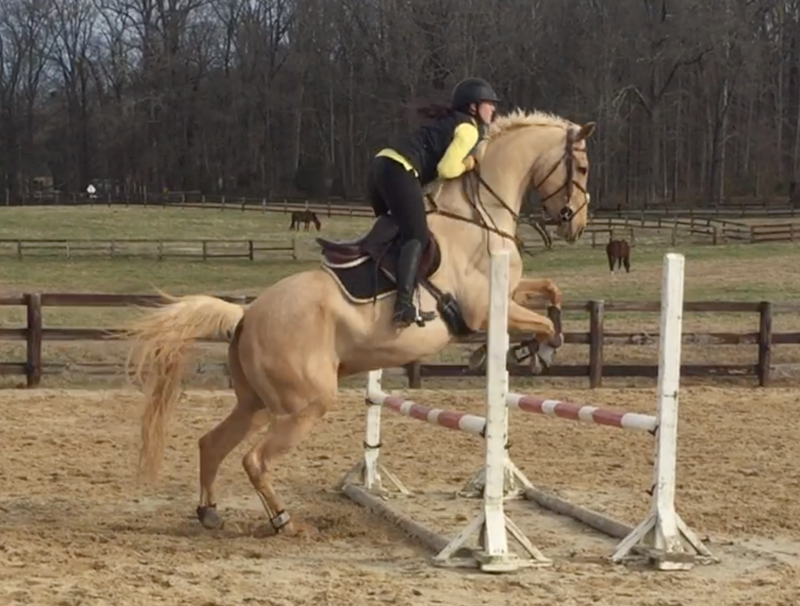 We’ve started making jokes about me trying to smell his mane when I jump, which simultaneously makes me cringe and laugh to think about it. And the lightbulb went off- keeping my chin away from his neck, versus burying it, seems like such an obvious thing but between that and the video stills from above, I had what I needed to feel it in the saddle. So last night I got to apply my new epiphany. I kept my chin up and away from him, with a very supporting leg all the way around the ring. I focused on bringing his shoulders through the turns to help keep balance and straightness. And rather than thinking about keeping my shoulders ‘away’ or ‘back’, I thought about bringing my tail bone forward. For me, thinking about my tail bone lately has been a huge deal. It helps me engage my weak lower back, and core, and keeps my legs under me when I sit up instead up shooting them out in front of me and hollowing through the back, which tends to happen when I try to sit up and back. 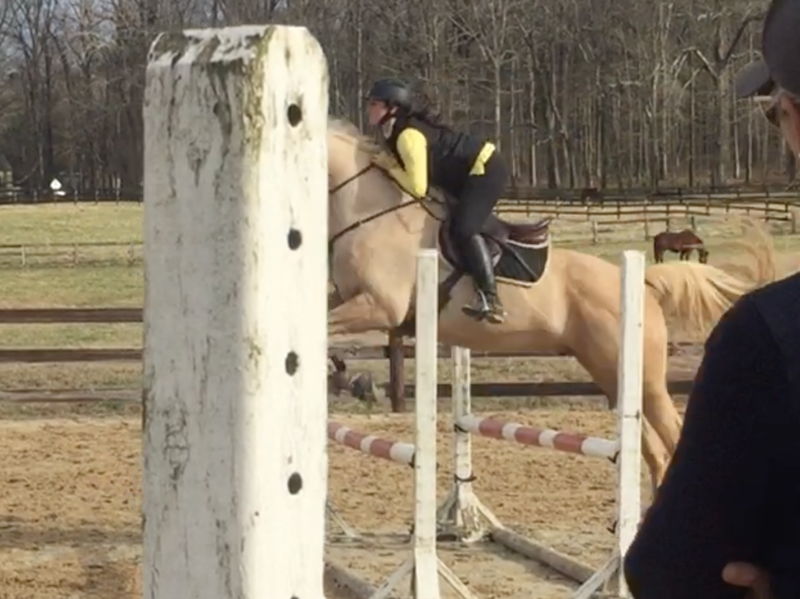 All of these visualizations and realizations helped me finally be so much more patient last night, and Jack jumped around beautifully over a full set of Novice fences- our first 3′ course since last spring. I’m hoping that in re-reading this I will be able to ride like that again next time. Until then- what mental reminders do you give yourself to improve your position? Chin up is so helpful! I always think “elbows elbows elbows” too so i don’t do the non following death grip! Mine is always feet forward, meaning I need to shove my entire foot towards his shoulder. Somehow this keeps both my shoulders back and my legs right where they need to go. This started because my horse had a wonderful habit of throwing his head down and mini bucking. 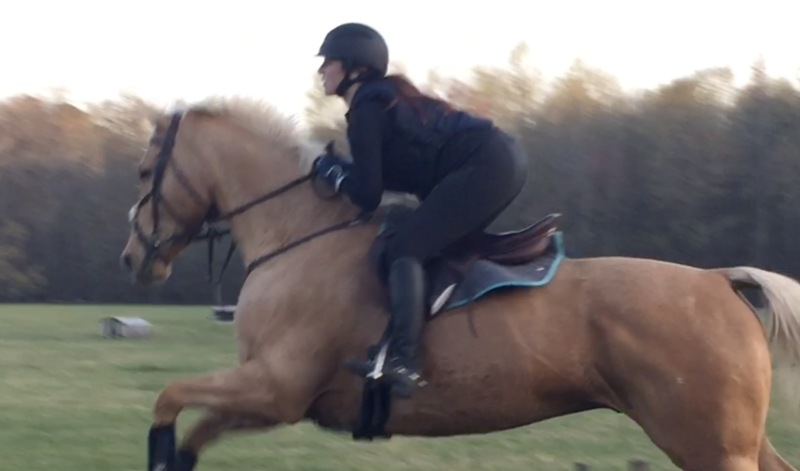 I fell off soooo many times because my shoulders were so far forward and I would just go right over his head!